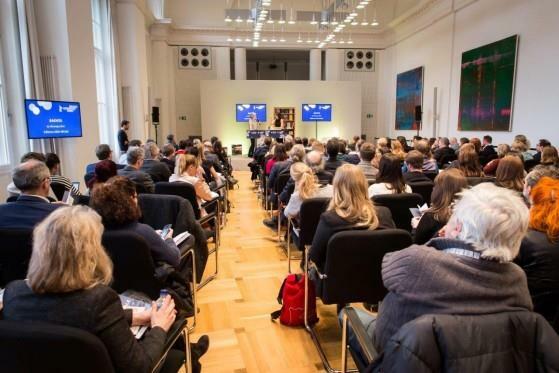 (MENAFN - Daily News Egypt) The initiative of Books at Berlinale, a co-operation with the Frankfurter Buchmesse, presented on Sunday 12 new and notable literary works that lend themselves perfectly to adaptation for the screen. From Norway, guest of honour at the Frankfurter Buchmesse later this year, comes the bestseller Keep Saying Their Names (original title: Leksikon om lys og mørke) by Simon Stranger. The rights for the novel were successfully sold for editions in 15 languages within a very brief period of time. The book, to be presented by the Oslo Literary Agency, was honoured with the Norwegian Booksellers' prize in November and has delighted critics and readers alike. The Italian novel Sangue giusto by Francesca Melandri, which treats Italy's colonial past, was recently celebrated by the magazine Der Spiegel as their International Novel of the Year for 2018. The renowned British agency The Artists Partnership, which represents authors, screenwriters, and directors, will be presenting South Korea's bestseller of the year with The Good Son, a thriller from South Korean, Queen of Crime, You-jeong Jeong. Benoîte Groult's 1988 novel Salt on Our Skin already became the object of a prominent screen adaptation shortly after its publication. Now that the film rights are once again available, the book, which has sold over one million copies in Germany alone, is ripe for re-adaptation for the cinema. Also among the selected works is one of the Swiss Diogenes Verlag's leading spring titles, Love in Case of Emergency by German author Daniela Krien. Germany is also represented with The Wannsee Murder, a crime story set in 1968 Berlin which also serves as a portrait of a pivotal moment in German history, and Kathrin Weßling's novel Great, and You?